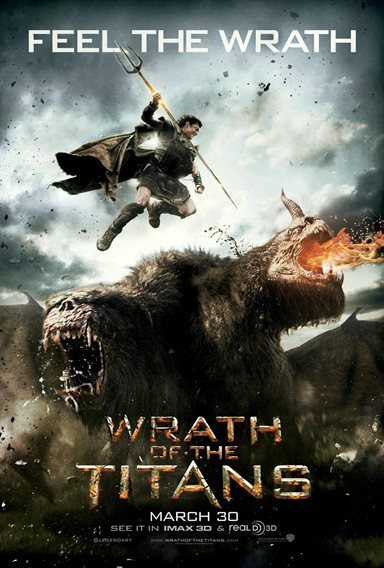 Download Wrath of the Titans in Digital HD from the iTunes store. Wrath of the Titans images are © Warner Bros.. All Rights Reserved. This sequel called Wrath of the Titans happens to be one of those films that if you hadn't seen the first one, you may get a little lost in the plot. Not, that the plot is very difficult here, but read the following film description and you male tweens to twenties should get the idea even if you haven't seen Clash of the Titans. 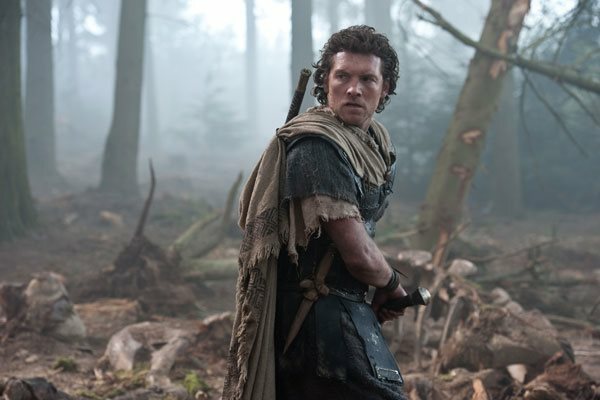 A decade after his heroic battle with the monstrous Kraken, Perseus (Sam Worthington) the half god half human son of Zeus (Liam Neeson) who has forsaken his father has settled down as a fisherman in a small village with his now10-year-old son, Helius. One day flying dragon-like monsters with intent on killing Perseus attacks his town. No longer able to stay in the region he sets out from his village to find the reason for the disturbance. In the meantime a struggle is going on for supremacy amongst the gods with Zeus being tricked into captivity by his brother Hades (Ralph Fiennes). Weak due to the lack of devotion from humans Zeus starts to loose his strength to fight off Hades. Now locked away in the depths of a gloomy fiery abyss called Tartarus, Zeus finds himself about to die. In a desperate chance for survival he appeals to his other brother Poseidon for help. 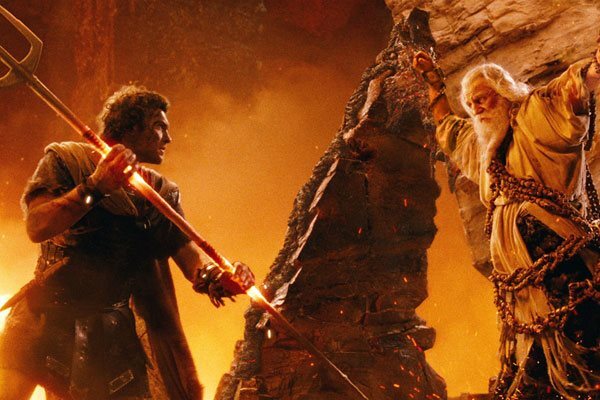 When Poseidon gets word to Perseus an alliance gets set up between Queen Andromeda (Rosamund Pike), Poseidon's demigod son Agenor (Toby Kebbell), and fallen god Hephaestus (Bill Nighy) in an attempt to save Zeus. Acting by the whole cast including the extras had to be extremely difficult on a set that had nothing by basic features. With vast desolate landscapes, ancient interiors, fiery caverns, rock covered battlefields, animated monsters and smoke filled skies being CGI the cast had to act like everything is real. My hat goes off for their genuine performances as it's hard to tell where the realism begins and the animation takes over. The true fun here doesn't really need an involving story because the film rolls out with a simple ‘lets save dad' and it's that simple premise that controls the action packed adventure. It's all about the computer graphic special effects combined with 3D filming that makes this movie work. Totally amazing in special depth of field visuals that in several cases take the audience on a roller coaster ride to the center of the Earth or into a fiery flight on Pegasus during a fight between Perseus and Kronos. At one point I could see Perseus on Pegasus flying from the audience into the screen. The 3D in this film certainly puts a lot of other productions to shame and sets the bar high, it's that good. Jonathan Liebesman who keeps the action happening on the screen during nearly every minute of the hour and a half film keenly directs this cool fantasy film. In some cases the battles are so intense it's hard to take it all in as they fight to the death. 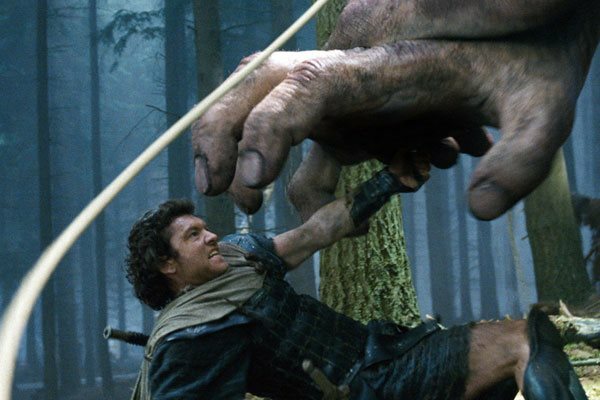 All of his monstrous characters out do the Kracken from Clash of the Titans. In Wrath he pits a nasty three headed chimera against Perseus while defending his village, three huge Cyclops attacking Andromeda, Agenor, and Perseus in the woods, soldiers fighting off an army of two-bodied Makhai and other unique predators. It's the kind of fun entertainment that those liking this genre will take home and share with friends. The adventure takes a special turn when Andromeda, Agenor, Hephaestus and Perseus enter the labyrinth that leads to where Zeus is being held captive. The CGI constructed labyrinth actually amazes me, a stone tower with huge thick stoned walls that constantly move changing the layout of the interior. The camera follows them as they traverse from one moving corridor to another giving the audience surprises at every turn. This happens to be the highlight of the film for me and I commend the artists, computer programmers, production supervisors, choreographers and of course the fine eye of Director Liebesman. 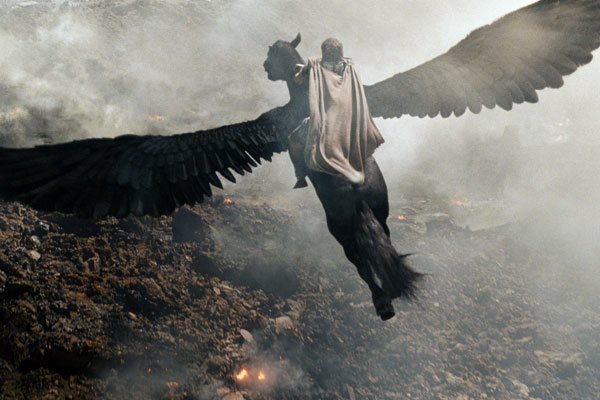 Wrath of the Titans has been rated PG-13 by the MPAA for intense sequences of fantasy violence and action. If your Tween plays X-Box games of this genre than they have already seen it all. 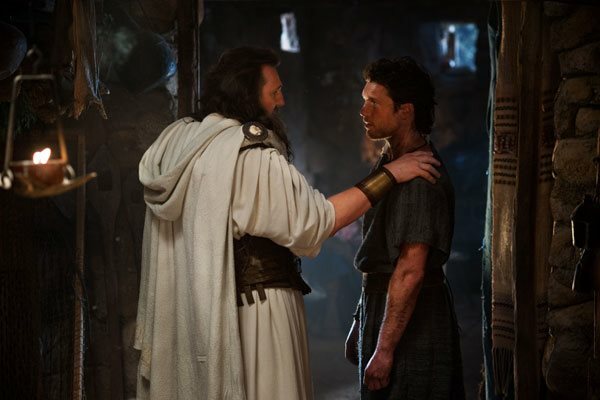 Wrath of the Titans images © Warner Bros.. All Rights Reserved.